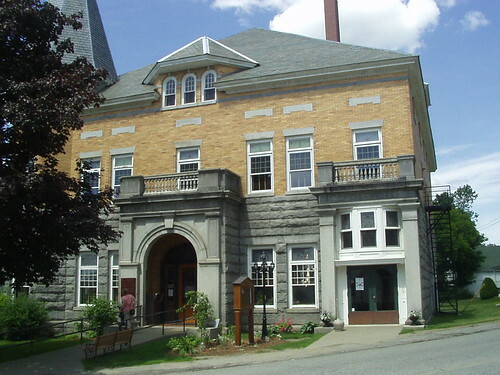 The Haskell Free Library is an unusual building which straddles the borders of USA and Canada. 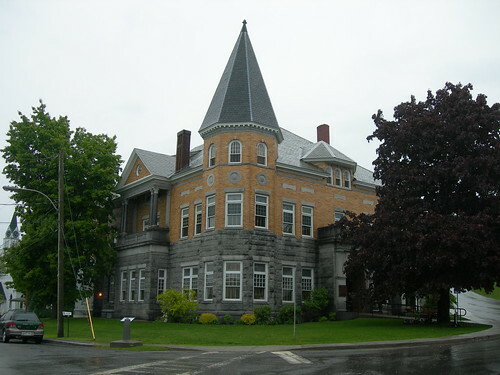 Built in 1904 it is sited in the towns of Stanstead, Canada as well as Derby Line USA. The library also houses on its second floor, an opera house which is also divided by the border line. 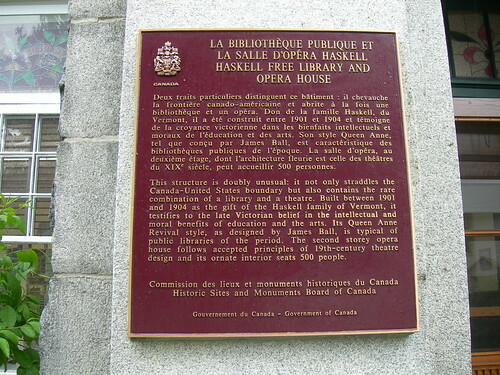 Officially called "Haskell Free Library and Opera House" it was constructed deliberately on the border of USA and Canada by an American sawmill owner Carlos Haskell and his Canadian wife Martha Stewart Haskell, for use by the people of both countries. The library books are in Canadian side and the reading room is in the US side. 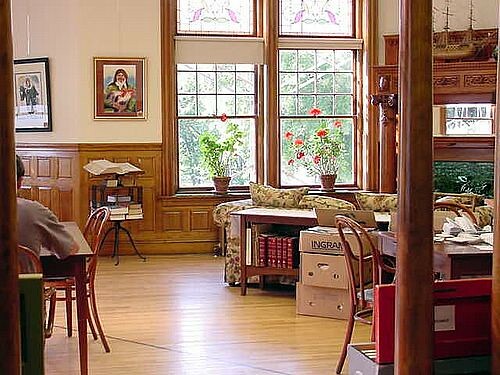 (Only library in USA with no books). The stage of the opera and half seats are in Canadian side and remaining half are in US side. (Only opera house in USA with no stage). The building has two addresses and two postal codes. There are two parking lots for the library. One on each side of the border. The entrance to the library is on the US side and the Canadian's have to park the car on their side of the border, walkover to the American side of the border under the watchful eyes of the border security guards and then enter the library. It is illegal to cross the border except for the explicit purpose of entering the building, unless one has the required travel documents. 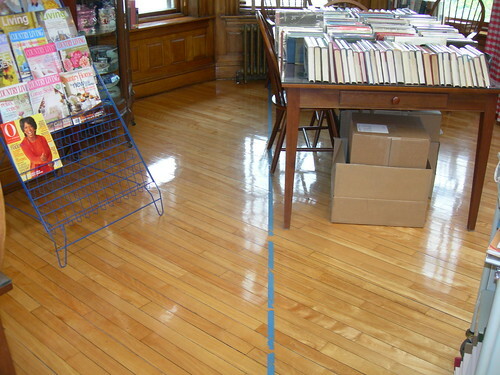 A thick border line runs through the library and the opera house, clearly demarcating the border. However there is there is no restriction within the building in movement from one side to other side. The building and its facilities are governed by a seven-member board of trustees - four Americans and three Canadians.